This Hexagonal Tzedakah Box has six panels of hand inlaid decorative wood mosaic inlay and brass letters. 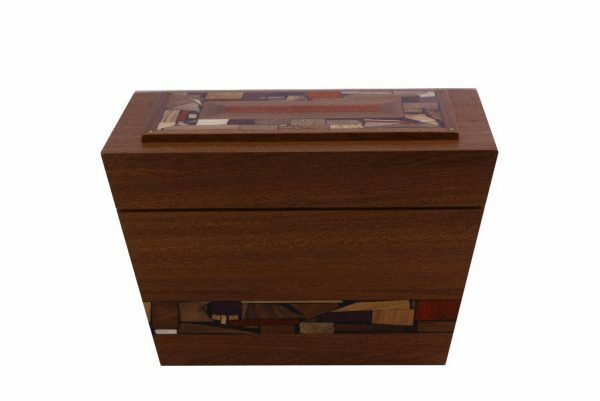 Each piece of wooden inlay retains it’s original color and grain, and over 30 different kinds of wood are used in the mosaics. No stains or dyes are used, and the colors you see are the real colors in nature!. 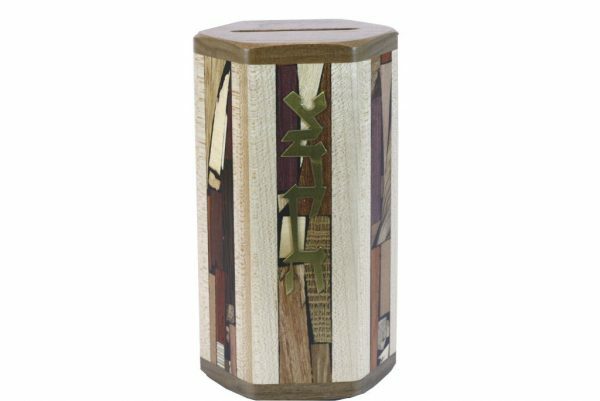 This is the perfect meaningful wedding gift for a young Jewish couple, beautifying the mitzvah of giving as well as by encouraging the act of giving and the daily thinking of others in need! 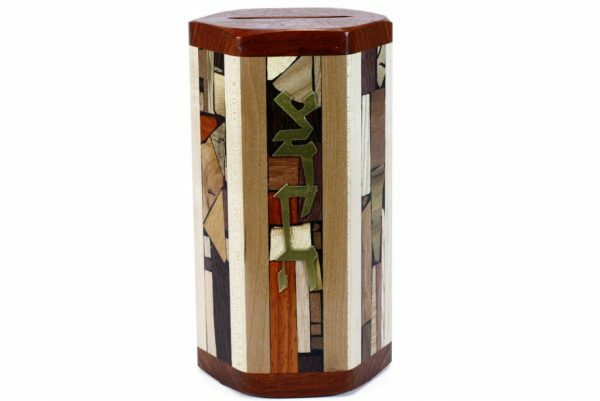 It is a great gift for the bar mitzvah or bat mitzvah as well. 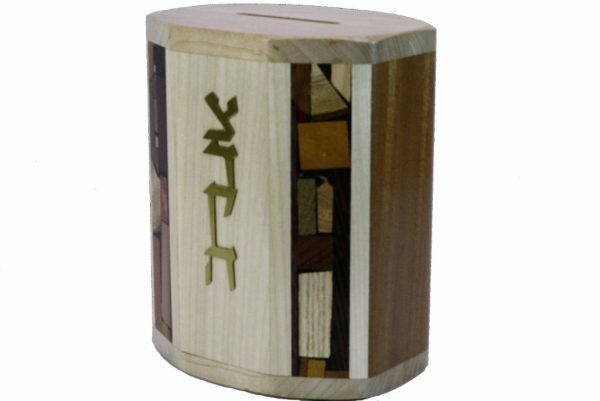 You will receive a tzedakah box similar to this, the base woods may be different, and the hand inlaid mosaic pattern is unique on each box. 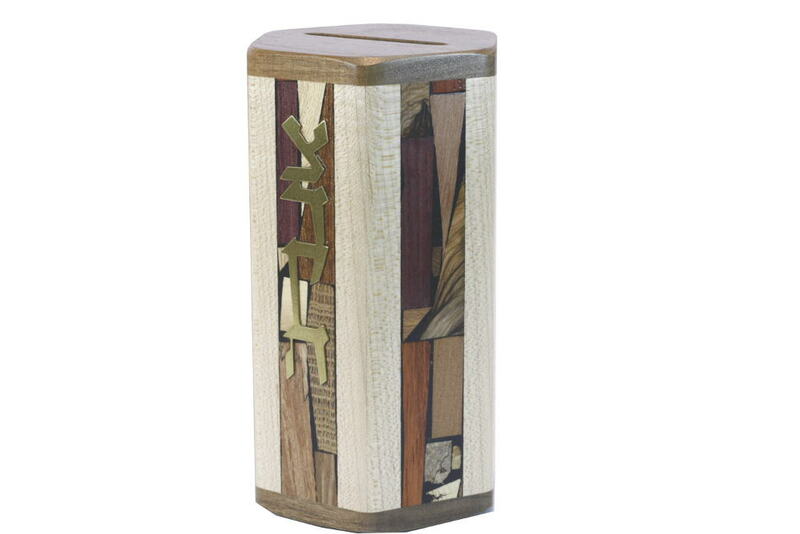 Contact Me if you have a specific preference as to base wood color.